The homes for sale in Little Valley really have a lot going for them. Most are newer homes built in the 2000's and there are a variety of structures even though most have that typical southwestern stucco look. These listings below incorporate Little Valley, but also the area just outside the east boundary of 3000 east [also to include Bridle Gate estates] as that is also where much of the new construction is taking place as well (see maps below as needed). The search also incorporates subdivisions up to 2450 South. 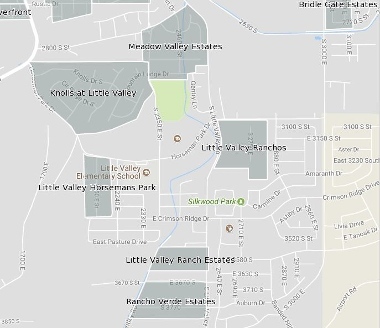 You can deduce the area we've incorporated by using both maps of Little Valley boundaries below. Little Valley is appealing because it is not too distant from town, but not too close so as to draw too much main-stream traffic. As you drive through it, the center opens up to this expanse of soccer fields, new pickle ball courts, and baseball/softball. All of this is adjacent to one of Utah's finest Intermediate schools, Sunrise Ridge. Little Valley Elementary school is also near by. Most of these homes are stemming from 250K on up to 400K with a part higher just next to the schools. This makes it not only a good neighborhood for raising a family, but also nice and more upscale for those that can afford a bit nicer home. The school system continues its grades on up with Bloomington Hills Jr High and then Desert Hills high school being the next steps a couple miles from here. It is in the Desert Hills school area (or district). A new high school is opening up drawing even more of a buzz for this increasingly growing area. Comprehensive Blog Entry with Pictures of this area: Even as Little Valley new construction busts at the seams, Washington Fields picks up and runs with the baton ushering in the advent of Crimson Cliffs schools. For more information about the schools feel free to visit the above link. 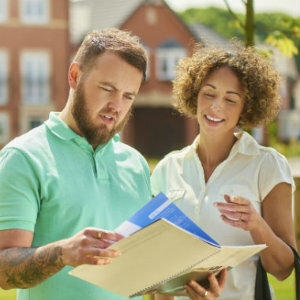 With our current Little Valley market research we help you make informed decisions about homes in St George. This is an amazing market analysis of the ebb and flow of real estate market activity of homes in THIS area.